This music inspired post has been brought to you by TakeLessons.com…. If you know me (and my family), you know music is a big part of our lives. I can’t sing, which doesn’t stop me, and I can’t play an instrument, but I love music. It would be an accurate statement to say I NEED music in my life. You may remember awhile back I wrote an article about TakeLessons.com… you can check it out here. I’ve written a lot of music related articles over the last five years. Summertime really makes me think of music. I have so many fond memories of my youth during the summers and all of them can be tied to a song. I was also lucky to have two good friends, one who was a great singer, and still today plays in clubs all across the U.S., and one who was a great musician. He would play the piano and I’d sing (yeah, I know I can’t sing, but as I said, it didn’t stop me). My husband can read music, play the guitar and piano, and is even more of a music lover than I am. Our son definitely comes by it honestly with his love of music. So it’s an opportune time to take music lessons online during the summer months. Kids don’t have school, homework, and other extracurricular activities, so they can concentrate more on their lessons. Not to mention your kids will have so much fun. TakeLessons connects students and families with private music teachers, arts instructors and academic tutors throughout the US. Safety and quality are our priorities; every instructor completes an extensive interview, training, and an annual criminal background check. We assist with scheduling, initial coordination and billing- so all you have to worry about is enjoying your lessons! We provide In Home and In Studio Lessons, as well as Online Lessons, which are a popular choice for busy families. All you need is a computer with a webcam, a Skype account, and a good Internet connection. Cut down on commute times by taking lessons in the comfort of your own home! Make the most of your time: complete your warm-ups before your lesson, and review what you’ve learned immediately after! As a special bonus for YOU, my readers, TakeLessons.com is offering 20% off music lesson packages when you use promo code ‘MBSUMMER10’ at checkout! If you have any questions you can call 855-318-5564 to speak with a TakeLessons Student Counselor. This offer is good through July 6. So be sure to take advantage of this great offer! 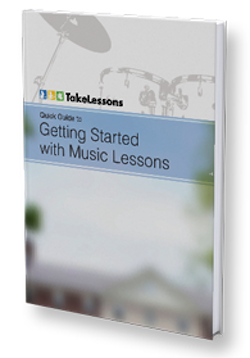 They’re also offering you a FREE eBook, “Quick Guide to Getting Started With Music Lessons”. Just click on the image above to get yours. It’s amazing all of the resources that are available to us online anymore. Love that you can take music lessons online. My elder son took violin lessons which ended less than 6 months and my younger son gave up on his guitar lessons after about a year. Maybe taking music lessons online is the answer! Great! I can now take music lessons online! Our house is filled with musicians…I’m like you I can’t sing or play an instrument but I have to have music in my life. I love that expression, and it’s so cool that they have an online learning option. I like that. Everyone learns at their own pace. You can progress at your own rate. 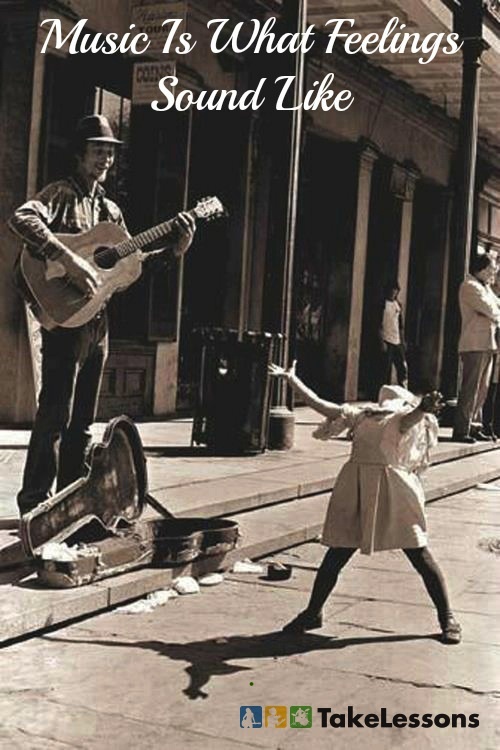 Music is so important and truly is the voice of feelings. Very cool that you can take lessons online now. my oldest is learning the piano and now my middle wants to learn guitar. This is great. I have been wanting to relearn the piano since I’ve forgotten so much over the years. It truly is amazing that you can get legitimate music lessons online. I remember when the only way to get a lesson was for the piano teacher to visit our house. This is great for the summer and kids that are looking for a way to learn something new. I think music lessons are great for kids. Sounds interesting. My husband is from a family of professional musicians but for some reason, it skipped him. My middle son–8–plays guitar but we need to get him back into lessons. I would love to learn to play piano one day. never knew you could take music lessons online. Very informative. I would love for my daughter to learn to play. You know what? Online is probably the only way I’d do it anymore. I’m far too lazy to go anywhere! What a great service. I find it fascinating that you can find nearly anything and everything online…now music lessons. That’s awesome!! How cool is this?? When the kids are a bit older I’ll have to look into this a bit more. Great that this makes lessons more readily available to all.